The information contained in this section is to assist you in caring for and maintaining your Spring USA products and equipment to ensure a long service life. Click on any manual below to view or print the information. Spring USA Mr. 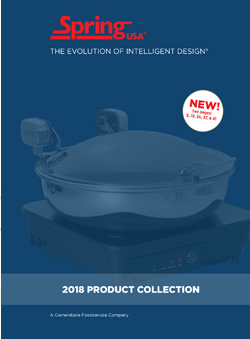 Induction Range Models SR-181A, SR-1151F-1, SR-1151B-1, SR-1262F-1, SR-1262B-1, and All SRC Cabinet Models Have a 1-Year Warranty On Parts and Labor.